This book is one of the best I have read of its type, (and I’ve read a few)! It revolves around the early railway career of Geoff Burch, who had the good fortune of his school playing fields backing onto the main London Waterloo to Portsmouth line in Guildford, Surrey. He joined the Guildford shed staff first as a cleaner in 1961, then quickly graduated to fireman in the last days of steam on the Southern Region until steam's demise in 1967, firing on a variety of different locos on the many routes around Guildford. Geoff had the honour in firing to one of the last engines to leave Guildford under its own steam. For me the most interesting chapter of the book is about all of Geoff's colleagues with whom he worked with, many senior engine drivers who had joined the railway during and just after the first world war,and as the author points out are now unfortunately in that giant engine shed in the sky! The book has been beautifully put together by Geoff on high quality paper, with many rare and previously unseen photographs, mainly in colour and comes highly recommended either for steam fans or Surrey residents eager to learn more about their districts recent, but sadly long gone history. Ben Darnton. Geoff's railway career began on the 4th April 1961 and the launch date of this book will be exactly fifty years later to the very day! It achieves the author's ambition to share such memorable times with everyone and features many colleagues and friends that were part of the Guildford motive power department. As a Cleaner and eventually a Fireman we learn of the formidable learning curve encountered during these times, working alongside some fine Enginemen who were sadly coming to end of their driving days. Such men, like Jim Kemble, who had started way back in 1914 and indeed many more who are featured in the section 'Drivers and Firemen' that pays due tribute to them all. You will relish the numerous anecdotes throughout this extremely readable book, however in addition to these fascinating tales there is another real bonus! That being the diversity of photographs that fully illustrate each page as it is turned, simply superb! All in all I have no hesitation in recommending 'The Ramblings of a Railwayman' to everyone. In particular though, to those of you that still have cherished thoughts of that somewhat unique steam shed tucked away in the chalk hillside, for it will refresh your memories of 'A Time Gone By'. I would like to support the views expressed by Ben Darnton in the Letters page of the Surrey Advertiser on April 15th regarding the recent publication of Geoff Burch's wonderful new book entitled 'The Ramblings of a Railwayman'. Both the historic pictures and written script bring back many happy and nostalgic memories of steam days in and around the Guildford area up until the end of BR steam in July 1967. We are very fortunate that nearly 44 years later we can continue to experience and witness steam hauled trains on the mainline throughout the country on a regular basis, thanks to locomotive owners and volunteers who restore steam engines to mainline standards. The double page spread on pages 8 and 9 of Geoff Burch's new book clearly illustrate the point and although not a Guildford or Southern based engine in its BR days. Geoff may recall that he and I stood 'shoulder to shoulder' on 'twin bridges' near Woking Junction on Wednesday 17th August 2005 when steam locomotive 71000 'Duke of Gloucester' headed west with a charter service to Weymouth. Geoff took his 'still' picture as published in his book while I recorded the event with my video camera. Thank you Geoff and others, as listed on the acknowledgements page, for an excellent book that I can thoroughly recommend. Dear Geoff, Just received the book and it's a triumph! I do get a great many railway books but this one is different, so very well done. I shall treasure it. 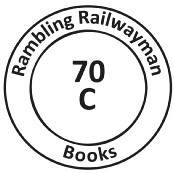 Worplesdon resident Geoff Burch is contributing to this genre of books with his first title, The Ramblings of a Railwayman. He self-published it last year and it is currently selling well. So much so, he now has a follow-up nearing completion. Sitting with him in his study, he clicks on his computer screen and shows me some of the evocative photos of steam locos that will feature in the new book. Geoff is in a better position than many to write and compile books that focus on the demise of steam on BR – as a young employee he was there; and until recent retirement, had a long career as railwayman. What makes his first book so special is, that not only is it full of wonderful photographs, but it really takes the reader deep into the life and times of what it was like to work on the railways back then, and especially in the Guildford area. The book is more than just about steam engines. It is a social history too, with a comprehensive set of pen portraits of many of the engine drivers, firemen and other staff whom Geoff worked with at Guildford’s locomotive depot. Yet again Geoff Burch has produced another excellent perspective of railway operation from the footplate. However this time he has let others do the talking having previously given us his own, personal views in his earlier book ‘THE RAMBLINGS OF A RAILWAYMAN’, covering his Guildford depot steam days. Contribution from former Guildford colleagues and friends who have written of their own experiences form the basis of this book, experiences that perhaps may never have been told had not this collated recollection of such times been compiled. Equally there are tales that come from other areas of the former Southern Railway’s system that have been admirably recorded, a credit to all of Geoff’s guest writers. What a wonderful collection of railway stories we have to muse upon as we follow each individual’s account of their footplate life and times! Once more Geoff has managed to supplement all these interesting recollections with some fine photographs, many taken during those times and we are indeed indebted to those photographers that made our look back in time possible. Indeed among them all is Alec McClymont’s own pictorial contribution that enhances his very interesting chapter, superb! Personally, as time has passed since the end of steam, I believe the memories that have been recorded in this book may possibly be some of the last, for sure there will eventually be a closure to these first-hand footplate accounts. Whatever that’s not now, so I do recommend that you take the opportunity and share the ‘FURTHER RAMBLINGS OF RAILWAYMEN’, men who were actually there, participated and witnessed events during the bygone ‘Age of Steam Railways’. This is a book with a difference - it contains the results of a series of interviews with Southern railwaymen that worked with the Author. There are eleven altogether, most ex-Guildford MPD and the rest from Nine Elms, Fratton, Eastleigh, Salisbury and Weymouth. Much of it is written in a friendly, personalised way, much of it in the first person, and tells it how it was hence the title ...‘Ramblings’. The layout and photos are refreshingly different too, as Geoff has published the book himself and has managed to use railwaymen’s snapshots in among many super colour photos taken by lineside photographers. Not surprisingly, most of the pictures are Southern Region subjects but a couple of railwaymen interviewed took photos of Eastern Region Pacifics too and these are included. This is a very large-sized and expensively produced volume and well worth a try! All those featured worked alongside the author at some stage, but while predominantly featuring Guildford, other Southern regions are covered too, as Geoff encourages his fellow railwaymen to commit their memories and photographs to print. There’s a strong sense of brotherhood and solidarity throughout, and while the emphasis is on the post-war days of steam, there’s a respectful nod to railwaymen whose service started long before, some having signed on before the Great War. It would take too long to detail each contributor’s story here, but Limerick-born Guildford recruit Pat Kinsella, the first featured, is as good an example as any, his memories of those early days as a cleaner and fireman including episodes such as the day his crew attempted a charge on Pinks Hill with an overloaded cement train, firing school exploits, carrying a circus train from Ascot West to Kingston, and countless conundrums amid snow, fog and smog. Then there’s his impassioned defence of an older generation of railwaymen wrongly labelled ‘conscientious objectors’ during their Second World War home service. The afore-mentioned Alex McClymont and Dave Salmon tell similarly vivid stories of their initial days of service, with the wealth of great photographs they took in Guildford, Basingstoke, Woking, Weybridge, Nine Elms, Kings Cross, Waterloo, Clapham and Fratton, as well as further afield in further afield at Oxford, Crewe, Trafford Park, Edge Hill, Northwich and Workington, having proven invaluable. One taken at the deserted stores at Guildford is particularly evocative. Brian ‘Brush’ Davey adds great tales and his own photographs, detailing various encounters and fellow personnel, from the story of the leaking ale barrel to an unexpected meeting with the Surrey Union hunt, and helping transport a farm from Surrey to Devon. Tim Crowley’s ramblings stretch from bygone days in his native County Cork through to the preservation era at the Bluebell Railway, including his progress from firing to driving via Ashford, Nine Elms and Woking. Guildford railwayman Roger Hope also tells compelling tales of his firing days, not least those hair-raising moments when it can all go wrong on the footplate, while Eric Hern adds a vivid picture of life on the country lines from his days at Petersfield before guard duties took him to Guildford. It’s a similar journey for Jim Wattleworth, from his early days when the Isle of Wight had a whole network of branches and beyond redundancy in 1955 to a whole new set of firing memories at Nine Elms, Fratton and Guildford. Then we have Bob ‘Ben’ Cartwright taking us from his formative rail exploits at Eastleigh through to his traction days then more recent Mid-Hants volunteer duties, giving a detailed account of life that underlines how it wasn’t all roses, despite all those enjoyable moments. Fred Johnson is another who went the distance, eventually leading to instruction duties, his ramblings here centred on his days based at Salisbury, from 1948 onwards. And finally there’s Denis Turner’s description of firing duties at Weymouth and post-steam driving days at Dorking before he gave up the ‘juice’ for a later career as a police dog handler. Once again, Geoff incorporates great photographs from David Christie and Gerald T Robinson, among others, giving us a window on a bygone era, and ultimately delivering a valuable record for prosperity. In a genre where you tend to find extended caption books or windy wafflings, rarely do you get such a mix of the best of those elements – with the tales told often as stirring as the photography. And while these ramblings might not be for everyone – some may get lost in the detail here and there – they act as a superb testament to such a wonderful bygone era. This excellent book is the third in the Geoff Burch trilogy of his self written and published Rambling Railwayman series, which covers from Monday 10th July 1967 up to the authors retirement from South West Trains in 2009. When Guildford engine shed closed, fireman Geoff was transferred along with many of his colleagues to Woking Mixed Traction Depot as a second man for a year before passing his drivers exams on to become a passed secondman, then driver on various types of electric trains such as 4CORs, 2HALS,4SUBs etc, as well as the many types of diesel and electro/diesel locomotives such as Cromptons, JA & JB type 73s, 74s etc that were used on the Southern region in the years following steams demise. In 1972 Geoff transferred to Effingham Jn depot before transferring back to Woking after a couple of years,then finishing his career as an instructor before joining Surrey Police then rejoining South West trains. This superb 302 page hardback book has many interesting tales of various incidents that Geoff witnessed during this lengthy railway career and is copiously illustrated with many unseen photographs and diagrams from authors and former colleagues collections and is a must for followers of the Southern region electric and diesel scene although of course Geoff’s beloved steam engines make a few appearances in the book. Geoff now gives regular talks accompanied by a slide show and these are highly recommended too. 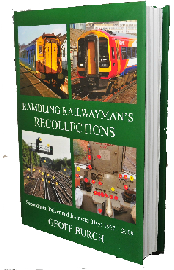 Rambling Railwayman’s Recollections – Secondman, Driver and Instructor Days 1967-2009 is another heavyweight success in its field – a large format 300-plus page hardback. I’d add ‘A4 size’, but it’s not quite the size of one of Gresley’s much-loved Pacific locos. While the cover price is a formidable £25, that makes sense when you pick up this colossal tome and look at some of the evocative photography inside. It’s certainly not easy to read propped up in bed last thing at night, but I’m glad he’s taken the trouble. I have to say I didn’t think his latest work was ever as likely to interest me as its predecessors. The diesels and electrics just didn’t have the nostalgic power those steam locos had. But as Eurostar operations standards manager Ian Verrinder puts it in his foreword, he ‘always felt there was another important chapter to be written’ so pestered Geoff to write it, and ‘the array of previously-unpublished photographs alone should make the book a must-have’. And as Ian adds, ‘It is the description of a time that’s now passed which will endear it to railwaymen and enthusiasts alike. 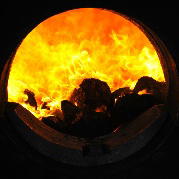 The post-steam period is often neglected in favour of the more aesthetically-pleasing era that preceded it. Personally, I’m glad Geoff has produced a book that is able to redress this imbalance’. I quite agree with that sentiment, and I was soon won over. That’s not to say it’s all to my taste, and at times Geoff’s latest epic is clearly aimed at the real railway buffs and might even be mistaken for a training manual. But for all the generations that grew up (or arguably didn’t) wanting to be train drivers, there’s an opportunity here to live your fantasies through osmosis. But there’s no denying that the more technology-heavy sections are key to our railway heritage and industrial history. And the weight of responsibility Geoff and his workmates carried with regards to passenger and public safety often leaves me astounded.Here and there, he tells us of accidents, incidents and near-misses that happened on his watch or those of his colleagues. What went wrong and what thankfully didn’t makes you realise how important it is to have such professionals involved, dedicated to ensuring this industry continues to operate safely. Like the last two books, it’s the vignettes of everyday life at the depots and out on the track that make for the best reading, bolstered by Geoff’s choice of wonderfully-evocative images and brief biogs of colleagues and the engines they handled. There are light and dramatic moments recounted, like the tale of the indignant woman who waved her brolly at him when he forgot to stop at Hersham, or the secret deal with a colleague to get a couple of hours off that rebounded on him – an act of bravery and good practise to avoid a potential disaster overlooked through his honesty, leading to disciplinary punishment instead. Geoff continued to take on more and more diverse roles as he got to know his way around the various classes – from 33/2 to 47s and 50s, 73s, and 4VEPs, to name but a few. And his driving skills and knowledge clearly made an impression on the training staff as he was invited to join them. He went on to travel all over the region to instruct – even on the old Tube stock on the Isle of Wight – on his way to managing a team of six trainers, ‘a dream I would have never thought possible when I joined the railway as a 15-year-old engine cleaner at Guildford 30 years earlier’. Times were changing, however, and by early 1994 his face didn’t seem to fit with some of the bosses. He was soon officially out of a job, saying no to a sideways move and instead taking his newly-honed computer skills to help deliver IT courses with Surrey Police.But Geoff kept his ear to the ground when it came to the railways, even realising a fresh dream when he got to ride in the cab on a Eurostar return run from Waterloo to Paris, following that the next year with a Brussels trip. A decade after leaving, he returned to his beloved industry, joining SWT at Basingstoke as a trainer in late 2005, carrying on in various roles across the region until early 2009, when a further economic slump and restructure saw his job cease to exist – ruling out a possible return to a five-day week role in favour of early retirement.But that proved to be the catalyst for Geoff to embark on his next great adventure – his subsequent writing sideline. And consequently, this distinguished and committed railwayman – and one of life’s good guys, I might add – has documented through first-hand experience over these past six years a key part of a story that deserves to be told – from the steam era onwards.